If your toenails are thick, they can be extremely hard to cut. Toenails become thick for several reasons including onychomycosis, a fungal nail infection; poor circulation; and wearing tightly fitting shoes. To cut nails that are hard, you must first soften the nails to make them easier to cut. The best way to soften hardened, thick toenails is to place them in a bowl, dishpan or bucket of warm water. Soak them for 10-30 minutes, depending on how hard they are. Add a mild soap or two tablespoons of Epsom salt to the warm water before soaking, if desired. 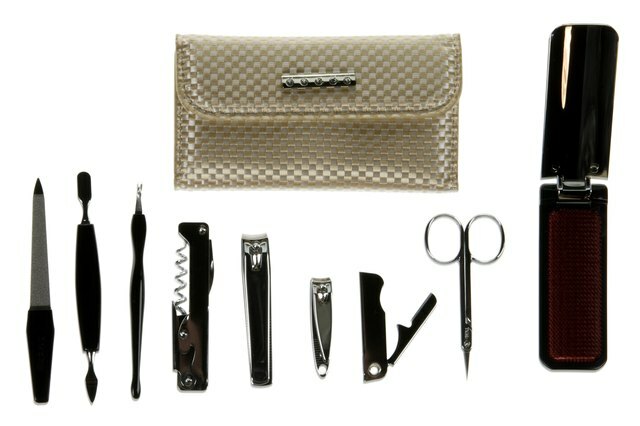 Nail nippers are tools that are designed for cutting hardened nails. They are lightweight, normally made of stainless steel, and can be purchased at almost any drugstore. 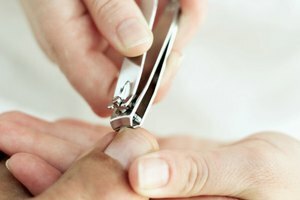 When using nail nippers, be cautious because they are very sharp. Take small clips, beginning at the corner of the toenails. Instead of rounding the toenail at the corner, use the nail nippers to cut straight across. When toenails are rounded at the corners, a person is more likely to develop an ingrown toenail. Use a nail file to file hardened toenails. After soaking the toenails in warm water, begin filing the nails down or use a nail file after cutting the toenails with a nail nipper. Make sure that when you file, you file down all sharp edges of the toenails. Purchase toenail softening cream and apply it to thick toenails. Many toenail softening creams work by hydrating the nails, making them soften over time. Some toenail softening creams require a person to apply the cream to the toenails before bed. The next morning, the toenails should be softer, making them easier to cut. If using this type of cream, read the directions on the package before applying. A podiatrist is a doctor trained to care for problems with the foot, toes, ankles and sometimes legs. Podiatrists regularly cut patient’s toenails when they suffer from hard, thick nail issues. Footcare Central: Have You Ever Used Toenail Softening Cream?